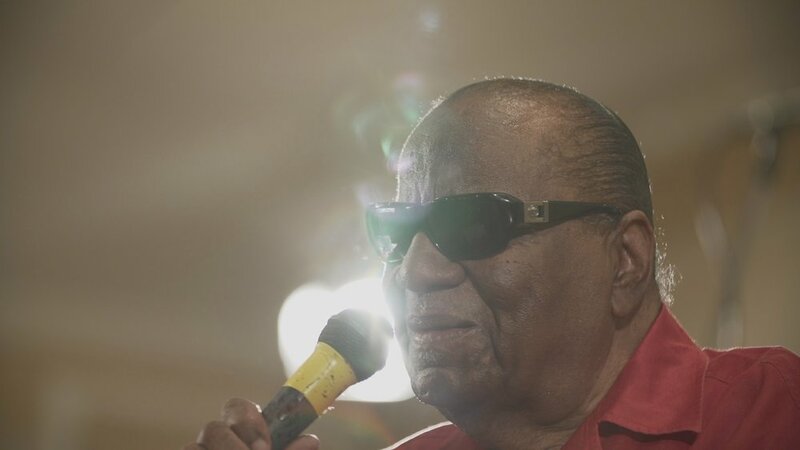 It is with great sadness that we announce the passing of gospel legend Clarence Fountain. Lee Breuer, Director of "The Book of Clarence"
This documentary essay follows the life of legendary blind gospel singer and founding member of the Grammy award winning, Blind Boys of Alabama, Clarence Fountain. We learn of Clarence’s life, music, and health through his dreamlike and hallucinatory memories, while he receives kidney dialysis. The memories are woven together with current performances with a small band, featuring long time collaborator and guitar player, Sam Butler Jr. These performances are mostly intimate and take place in Clarence’s living room, in recording studios, and in African-American Baptist churches in the deep south of the United States: Baton Rouge, Birmingham, Mississippi, and New Orleans. These elements are combined with scenes from Lee Breuer and Bob Telson’s celebrated theater piece, “ Gospel at Colonus”, featuring Morgan Freeman, Clarence Fountain, and the Blind Boys of Alabama filmed by PBS in 1985. In this presentation, the story of Oedipus as acted by Clarence parallel’s his journey to find a “happy death”.